Decriminalizing all drug use would reduce the stigma and bring down the barriers preventing those who abuse illicit substances from getting treatment, the agency said. The director of Montreal's public health agency is welcoming a recent appeal from her counterparts in Toronto for all personal use of illicit drugs to be decriminalized. In a news release Friday, Dr. Mylène Drouin said decriminalization — a moratorium on criminal penalties — is at the heart of ongoing discussions across Canada about how best to respond to drug addiction and to the opioid crisis, in particular. It is "one of the measures to consider in the public health response to a problem without precedence in numerous Canadian cities," the statement reads. Earlier this month, Toronto Public Health released a report urging the city council to lobby the federal government to decriminalize all drug use, while increasing harm-reduction efforts. The recommendation came after a public consultation process which showed that many Toronto residents believed the current approach to drug abuse wasn't working. In its statement, Montreal's public health agency points to the experience of Portugal, which decriminalized the use of all drugs in 2001. It says the result has been reduced use of the courts, greater social insertion, reduced stigma and the dismantling of barriers that prevent people with drug dependencies from getting treatment. 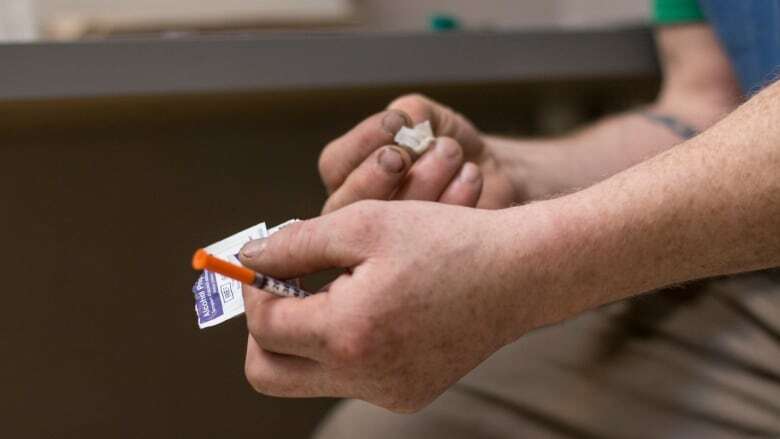 "They've also recorded fewer drug overdoses overall, a reduction in HIV-infection rates among drug users and a lower level of synthetic drug use," the agency said. Earlier this week, the Quebec government announced plans to inject $35 million into the province's program to deal with addiction, including dependence on drugs, notably opioids. While there were more than 1,000 opioid-overdose deaths reported in Ontario in 2017, in Quebec, with just over two-thirds of Ontario's population, the total was 181, Quebec Health Minister Gaétan Barrette said, and the total for Canada as a whole was 3,611. "One death is too many," Barrette said. "Even though here are fewer, we should still take action to ensure there are even less." Montreal is home to four safe-injection sites, where trained health-care workers are on hand to supervise injections and intervene in the event of an overdose. The number of visits to Montreal's supervised injection sites more than doubled in the year since since the safe-injection sites first opened last summer.